Khopotso Bodibe is a Communications Associate in Sonke’s Communications and Strategic Information unit. He is a self-taught award-winning journalist, with significant experience in both radio and health reporting. Most recently, he managed the media and communications office of the South African National AIDS Council (SANAC) where he produced their first newsletter, transformed their website and publicized the Council in the media. Prior to joining SANAC, Khopotso spent 10 years as a specialist health journalist, covering mostly HIV and AIDS in South Africa, working as a print and predominantly radio reporter for health-e news where he also was the radio unit editor. As producer and presenter of “Living with AIDS,” a five-minute weekly slot broadcast on SAfm’s AM LIVE, he was regarded as one of the foremost journalists to have covered the subject of HIV and AIDS in South Africa. Through the slot, he was able to bring home to many South Africans information about various aspects of AIDS, including what scientists were doing to find new ways of responding to the challenge locally and abroad, how AIDS was affecting the economy, and the impact of the epidemic on individuals, families, communities and society as a whole. “Living with AIDS” was then the only dedicated and consistent source of information on AIDS to be found on radio. It particularly filled an information void, especially in recent years when newsrooms slowly became less interested in issues relating to AIDS. Every week, Khopotso sought to tell fresh, interesting stories about a condition affecting over five million South Africans, yet whose relevance and importance seemed to be diminishing from the media’s agenda. Khopotso championed the visibility of AIDS in the public eye, often his reporting offered counsel to many who desperately needed it and who didn’t know where to turn to for help. 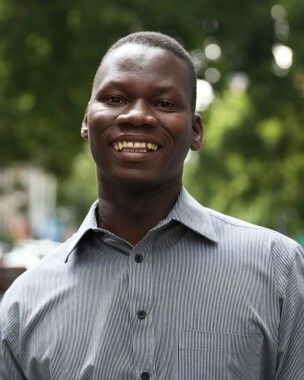 Khopotso was awarded the US/SA Health Reporting Award for Best Radio Health Reporting for 2003-2004, and in 2006, he was co-awarded (along with Anso Thom) the first Kaiser-CNN Award for Excellence in HIV and AIDS journalism in Africa for their investigative reporting on the misuse of vitamin regimens as a cure for AIDS among poor populations in the Cape Town area. The AIDS patients were falsely counselled that antiretrovirals were poisonous and that the vitamins would fight off their HIV infection. “The work of Bodibe and Thom are powerful examples of how in-depth, thoughtful reporting can help explain a situation that puts people at risk and even potentially save lives,” said Drew Altman, then-president and CEO of the Kaiser Family Foundation. Khopotso has also reported on a range of other health issues affecting South Africans, including TB and Malaria, the ailing public health system, the emergence of non-communicable diseases, the lack of social services as well as the increasing social ills that have a direct impact on health and development outcomes. Before joining health-e news, Khopotso worked for ABC Ulwazi, a radio training and production house based in Johannesburg. He produced, researched and wrote programmes in various genres including drama and Public Service Announcement (PSA) formats on many subjects, including health, for a network of community radio stations across the country. At ABC Ulwazi, he became part of a team that bid for, and won, the Khomanani campaign contract. The Khomanani campaign served as the government’s vehicle to create awareness on HIV and AIDS, tuberculosis and sexually transmitted infections (STIs). In the early days of his career, Khopotso worked for South Africa’s public broadcaster (SABC) in various capacities, including as an assistant researcher/researcher, a script writer and producer for magazine and current affairs programmes.